MISSION & VISSION MISSION Our mission is to assist our..
Our mission is to assist our students to acquire hope for a brighter future. Our vision is to become an excellent educational institution committed to the development of a good human resource for the nation under the help of the Almighty God. A good educational system is the goal of every nation since it is the quality of manpower that determines the progress of a nation. Ghana Education Service recruits a huge number of untrained teachers, especially in the rural areas. 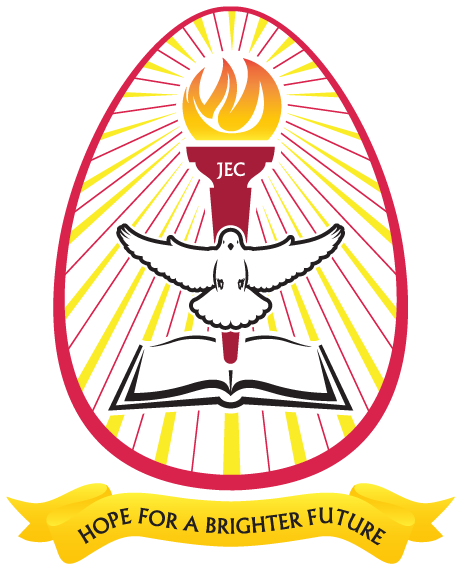 JCE aims at training these untrained teachers to enable them teach efficiently. The goal of the College is therefore to provide high quality education, good moral principles and sound teaching skills for the young men and women who desire to enter the teaching field. This will enable them to swiftly gain employment, primarily in the Education Sector and thereby to raise their standards of living. The number of untrained teachers will therefore be reduced and the standard of teaching in the country will be improved. The fundamental objective of this Teacher Training Institute is to train especially the youth to acquire high quality academic standard of education and or vocation as a good foundation to enable them achieve a brighter future through distance learning. Provide Diploma in Basic Education to equip students to gain admission to tertiary institutions to further their education. Provide weekend training to enable the trainees to be at their work places whiles pursuing further studies.